The USD has risen against virtually all currencies overnight as the outlook for the global recovery is slowing. EURUSD pulled back to 1.4454 before posting a doji. 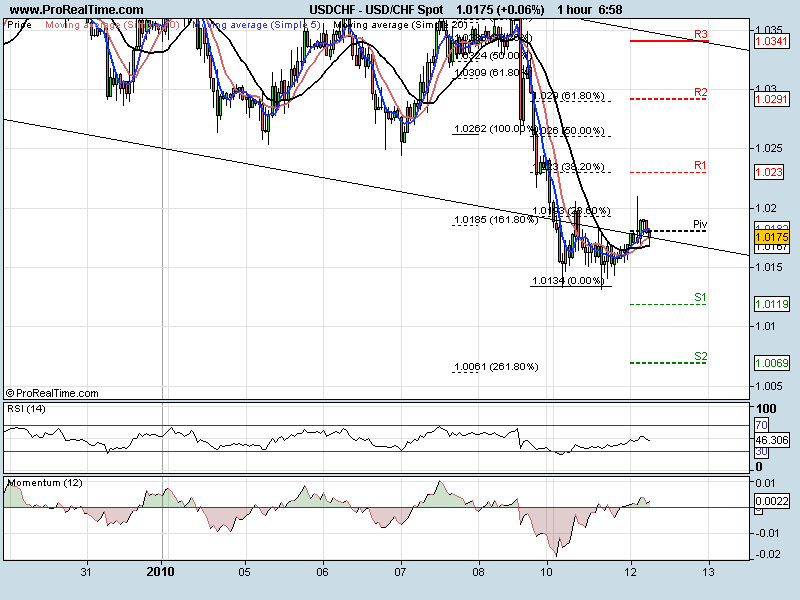 For the past three hours we have had a positive move and a currently sitting on the previous resistance line at 1.4504. The move down reached the 38.2% retracement mark which is popular for the 4th waves in the Elliott wave theory. 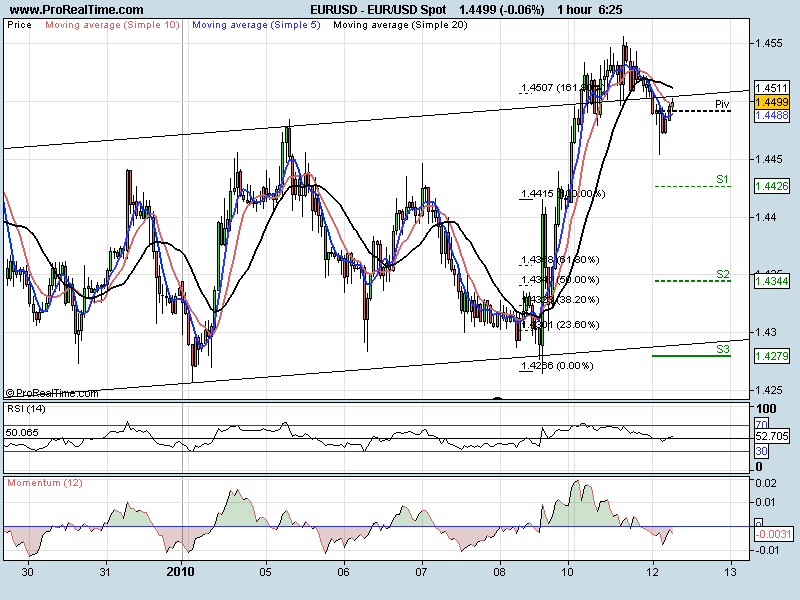 It then favours a move to the upside with the next target area around 14650. A move back below 1.4454 would negate the outlook and open the way for a move to 1.4390. 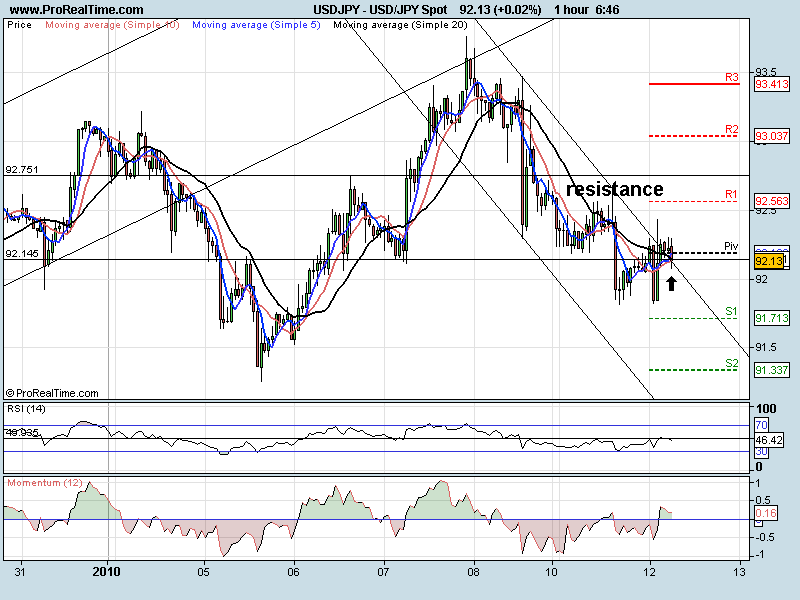 USDJPY pulled back higher of support that we noted yesterday and eventually made the break lower. Since the beginning of year we have been stuck trading both sides of 92.50. We have been making higher highs and higher lows and so have a very slight bias to the upside. We have formed a tempary base at 91.80 with a double bottom. A move up from here and 92.76 is the next resistance. 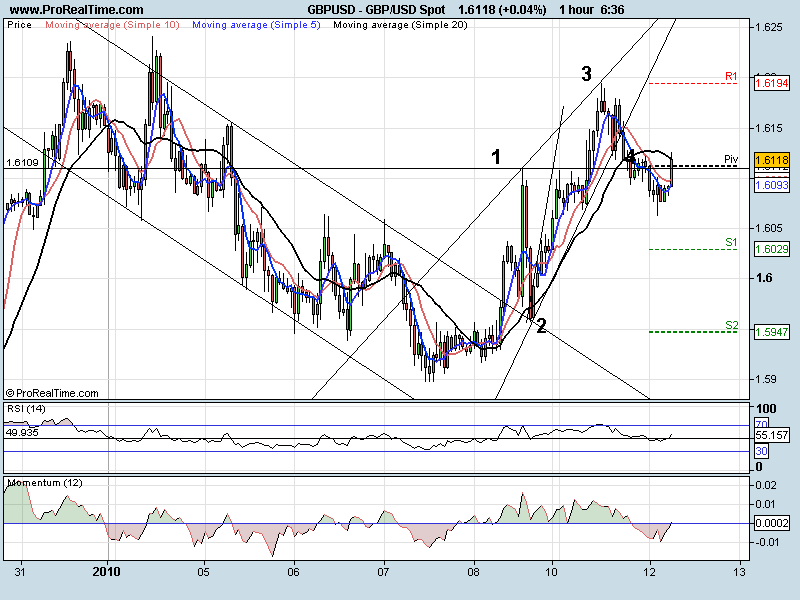 I have only had to alter the current price by 1 pip since yesterday morning showing that the pair is stuck in a range. The Swiss National Bank voiced its concern about the CHF growing in strength against the Euro yesterday which gave a slight up tic to this pair at yesterday European open. The pair is sitting on the previous support line now. At the moment we cannot tell if this is another pause before the next leg lower or if we are forming a base. After a strong move lower we have to favour the downside.